Nestle has a problem and it is Maggi. The country’s most loved OTC therapy for everything—from hunger to lost love—is squarely in the stockades because of investigations by food and drug authorities in different Indian states. So are the actors who have endorsed the brand. And more of the thumb screws are bound to follow. Surprisingly, there are few voices that are even trying to champion the cause of Maggi and Nestle. Equally, Nestle seems to have moved behind a corporate wall of cryptic, legally neutral statements. Over the years and from experience through very many such crises, Nestle has possibly perfected a process for managing such crises. From baby milk to contamination, the food giant has seen the whole spectrum and derived its crisis management strategies. However, it’s time that Nestle threw the blue book of crisis management out of the window and smelt the coffee of a whole new world. There are good reasons for doing so: fact is, most of us just want to get this sorted at the earliest and get back to eating Maggi after a hard day at school or at work. We need to see a confident company standing up for its product and willing to fix whatever has gone wrong in their production process. We need to see a Nestle that is standing up to its promise of good, safe food and being assuring in being able to fix it. And Nestle needs to be seen to be willing to engage in discussions that will help put this issue to rest. Failure to do so not only gives an impression of guilt, it spawns a whole industry of conspiracy theories, including the one about how forces of the Hindu Idli-Aloo puri businessmen are ganging up against the Swiss Christian Chinese-noodle makers. So, first take away, Maggi has a large, trusting brand following that still doesn’t want to believe that there is something that is critically wrong with the product. And they want whatever has gone wrong to get fixed. Now. Second, they want Nestle up to be visibly trying to address the issue. Not hiding behind corporatese. As of now, Nestle has remained nameless and faceless. There has been no visible person out there standing up to represent the company. Over time this will happen through the globally patented method – one "assuring" ad featuring Amitabh Bachchan and Madhuri Dixit showing everyone that they are enjoying their Maggi. That, of course, will happen once the issue is past. As of now, it appears that Nestle has barely spoken to journalists. Where typically a company in such a situation would keep regular beat correspondents informally briefed so that the other side gets equal play, there seems to be none of that happening. And the reason may well have to do with the traditional reluctance of many a centrally run global firm to engage media beyond the usual handouts on the next new product. As of date, no one has come up with a simple enough statement that "there is no way such amounts of lead can be present in a packet of Maggi except through contamination or localised technical fault". That, if there is lead in the amounts shown, they are of an extraneous nature and character and the source will be found and dealt with. The statement handed out by Nestle till now is full of vacuous generalities such as, "The quality and safety of our products are the top priorities for our Company. 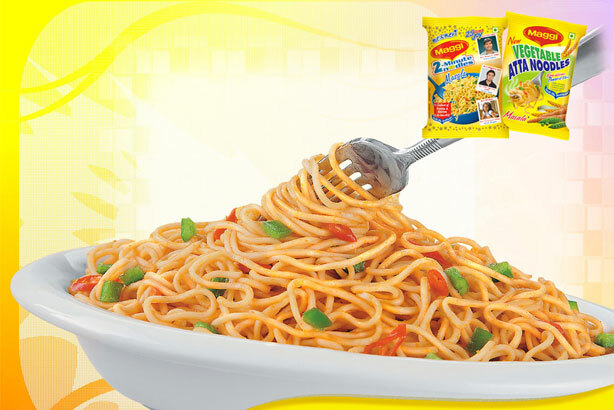 We have in place strict food safety and quality controls at our MAGGI factories, including thorough quality checks at each stage of our raw material sourcing and manufacturing process." These platitudes are possibly more convincing when there are real people standing up to make the point. As of right now, there is just ONE tweet that addresses the issue from Nestle. The company seems to be stranded on the middle of the road, stunned and mesmerised by the headlights of the oncoming truck. The real issue is why is a Nestle – and many such global companies – is flat footed when it comes to handling a genuine health scare arising out of their product fail? Over the years, it has become apparent that only a handful of global firms bank on local communication management to create bridges and react in the local context with alacrity. Many global firms feel it safer to go by the diktat of communication mandarins sitting far away and getting advised by a clutch of lawyers on the potential liability arising from speaking too much.. There seems to be a fundamental challenge in the way Nestle is today thinking in terms of managing its crisis. It would be quite idiotic to assume that the Maggi recipe either provides for MSG or for the high qualities of lead. For a company that gets judged worldwide by the highest standards, it seems likely that the results shown arise out of either bad handling of samples (to be charitable to Nestle) or collapse of systems in some part of the supply chain. It is equally clear that even the Indian food authorities wouldn’t have approved a product which has MSG to claim that it has no MSG or to allow such high levels of lead. So, the much loved Maggi is safe. That leaves the issue of fixing whatever has happened that is showing up such terrible results in the tests. In time, presumably, that will get sorted and canned and we will all be back to eating Maggi – and that one-third of revenue from the product would continue to make the Nestle India balance sheet look good. So, why indeed, should Nestle smell the coffee in communication? Brands such as Maggi are built on trust. The trust of a mother that her child gets a decent meal in her stomach before she runs out to play. Or that her daughter moving to another city can ‘at least make a Maggi for herself’. That trust makes them stakeholders in the safety of the product. The trust is still unshaken but it needs to have people with no stakes in the game – and people who are not getting paid for it – to stand up and give the assurance that Nestle does indeed have the quality and safety of its products at the top of its priorities. The media, warts and all, plays that role. Equally, there is a big opportunity to propagate its point of view through the multitude of channels that digital platforms today provide. Essentially, greater transparency will simply lead to the belief that the company sees itself accountable – and its relationship with its customers as being beyond sales and nice advertising. 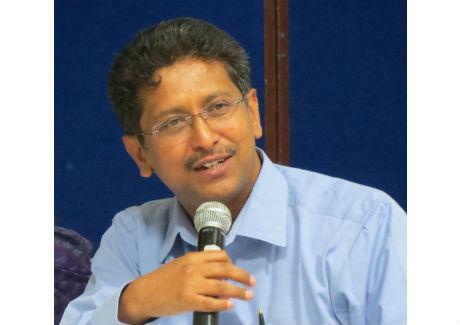 This opinion column originally appeared on Campaign India.